Water damage on your walls and ceilings usually indicates a roof leak. In such cases, identifying the source of the leak and making necessary repairs can fix the problem. There are some situations, however, when the damage is so extensive that repairs are no longer an option. To restore the good condition of your system, you need to get a roof replacement. The structural integrity of your home mostly depends on your roofing in Tinley Park, IL. If you find signs that indicate it has sustained major damage, consult Rogers Roofing right away. 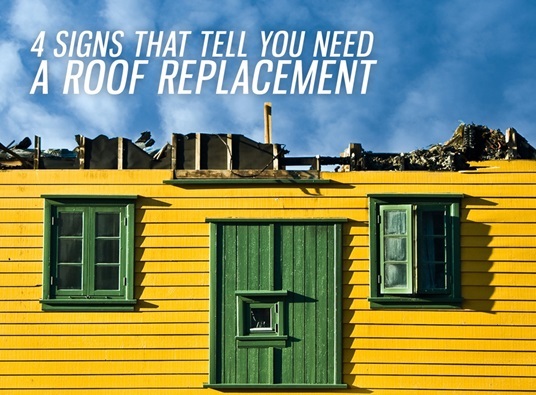 Here are four signs that tell you must replace your old roof. 1. Missing shingles – Storm, wind, and intense heat can take their toll on your roof. They can cause your shingles to separate from the panels. Missing shingles can make your roof more vulnerable to damage brought by harsh weather conditions. As a result, water can easily get inside your home, causing even more extensive problems. 2. Buckling or curling shingles – It’s a bad sign when the edges of your shingles start to buckle or curl. Most of the time, this is a result of poor ventilation and an overly dry base. It could also mean that your shingles are past their life expectancy. To get your Dyer roofing back in good shape, consider a roof replacement immediately. 3. Asphalt granules in the gutters – Granule loss could indicate old age. These granules protect your roofing system from harmful UV rays and intense heat. When they begin collecting in your gutters, it means your roof isn’t as much efficient anymore. Black spots on your roof also indicate granule loss. 4. Roof age – If the material for your Munster roofing is asphalt shingles, it should last between 20 to 25 years. Choosing to get a replacement depends on the layer of shingles and if it has proper ventilation. If your failing roof has several layers and is nearing the end of its service life, getting a replacement is the best solution. When you begin to notice any of these signs on your roof, consult Rogers Roofing. Our experts can handle any roofing project with ease and professionalism. For nearly 50 years, we have been offering only the best roofing materials and services in the region. Give us a call today or fill out our request form to schedule a FREE consultation.